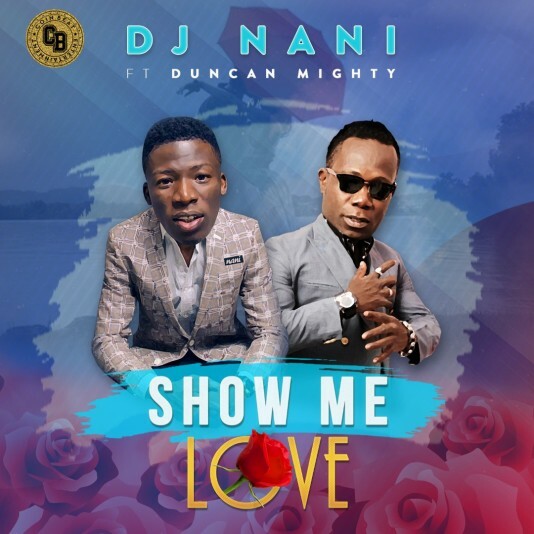 Coinbeat Official DJ, DJ Nani who has had hits with Popular Nigerian Artistes is back with another Hit titled "Show Me Love" featuring Duncan Mighty produced by Wondamagik. Duncan Mighty who has been on a winning streak with hits shows again what has made him stand out with his distinctive sound and vibe. This mid-tempo vibe is surely going to get you rocking and moving.